A posting on making snap judgments about selecting waves (i.e. a surf blink) while competing in a SUP surfing contest which prompts ponderings on research methods and the history of the surfing’s present. It’s Easter long weekend and I ended up doing embedded research on the SUP scene up in Plettenberg Bay in the Southern Cape and taking time out from thesis writing on South African surfing and the Sixties which will go toward a paper on the “Californication” of South African surfing culture for a forthcoming history conference. This is not a posting about those themes; rather I’m in search of methods for thinking about the past in the present and how to translate subjective experiences while surfing waves into a phenomenology of social acts which emerge from a consciousness of being in the surf. Put simply, why did I chose that wave rather than another during a SUP surfing heat which just happened to take place at Lookout Beach in Plettenberg Bay. Mindful of the switch between historian and playing part of the making of a new sport of stand-up paddle boarding (called SUP) in the country, I was a participant observer to the inaugural Off The Hoek SUP Classic, a contest with lagoon and sea paddle races and a wave-riding event. For my surf journalistic take on the event, and visual evidence of the happenings over 22nd to 23rd April 2011, read my article on SUPHQ.com, a locally based web portal for SUP community. This frames some context for what follows. On route to the contest, driving my board laden car, I was listening to Malcolm Galdwell’s audio book version of his 2005 book, Blink. The book is about rapid cognition and covers examples from knowing from a glance when a ancient statue is a fake to making snap decisions about a person, a couple or a situation. It is about how we “thin-slice” encounters and contexts, a psychological process whereby a person uses limited amounts of information to seemingly use intuition (which developed as experience or expertise) to make sense of something or someone. I was intrigued: how would Gladwell’s ideas translate into a situation that I was most familiar with – such as selecting waves when surfing in a contest or, for that matter, wave-selection when free surfing outside of the contest rules of an event, as the one does inform the other through the skill gained through hours of spending time surfing and “reading” waves – what I’ll call “surf blink”. Surf blink is informed by three things: an understanding of one’s board and body in the waves. Spending time on one or more different types of boards (for example, bodyboard, shortboard, longboard or SUP) also plays a role in what surfing proficiency is developed, as each board type is designed to allow for differing wave-riding experiences and styles across a range of surf conditions. The surfing act then could be defined as a process of embodiment, the experience by which a living female or male body dances on a wave mediated by the technology of a board (and in the case of a SUP, a paddle is included in the act of the glide). Taken together then, the following factors play a part in wave-selection: board type, proficiency as a surfer (which may be determined by age and agility), and surf conditions. In a contest environment there are several other considerations: time (how long is the heat – usually 20 minutes in the initial rounds, and 30 minutes for a final), contenders (how many other competitors are in the heat with you), the judges’ gaze (the objective and subjective criteria used to judge your surfing against the other surfers in the heat), the shouts and clapping of spectators on the beach, and how the surf media represents the event in narratives published online or in print as story, photograph or video. Add “contest nerves” and adrenalin into the mix and you get a charged psychological moment that closes in on one’s personal performance in the waves. These factors would generally apply to a world-title contender and a novice to the contest scene (although their expectations and experiences of a heat would be vastly different). These considerations start to engage with a discussion of the “surfing body-self” and non-representational theory pertaining to peak experiences in Nick Ford and David Brown’s Surfing and Social Theory (2006) – a seminal reader in locating surfing studies within academic practices of knowledge production. Ford and Brown’s points in Chapters 6 and 7 direct me to consider “surf blink” further as “kinaesthetic performance” and “expanded awareness” that enables a surfer to act through “non-cognitive dimensions of embodiment”. Here the interest is in surfing as experience and how the surfing body acts, not as set of signs representing social or cultural dimensions. In looking to research embodied practices in surfing, I am steering toward the idea that the instinct of riding a wave is learned bodily skills performed on the canvas of a wave (yet these skills have been developed in social and historical contexts). So too, if this non-cognitive surf blink applies to surfing the wave (making snap judgements of what move to perform), then it should also apply to wave-selection as a the precursor to anticipating the dream glide. But this is the realm of social theory rather than historical studies. Maybe I should start to consider a surf contest heat as a ritual of non-cognitive embodiment. This ritualised space is the commodification of surfing’s transcendent experience and what can best be told as a history of the outcomes of one surfing body against another. I still feel there is something missing here. That is part of my quandary with surfing studies: my own practices in the present may cloud my understanding of surfing’s past – especially when it comes to thinking of surfing experiences in the waves over time. How then to write a history of surfing stoke in relation to politics, society and culture? This question may find some answers in where my interest in the historical and psycho-social dynamics of surf contests began? 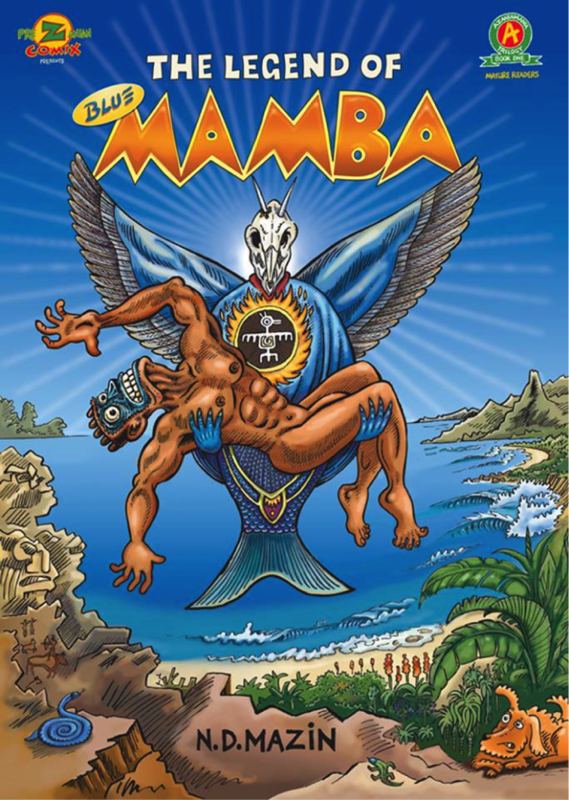 Before embarking on my doctoral studies I had started studying the institutional contexts of power in which of surf contents, as part of organised surfing culture, were gendered as masculine. 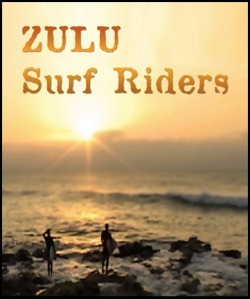 In one study, “Judging Surf Culture” published in the Journal of Natal and Zulu History, I focused on the judges’ gaze and the criteria for defining good surfing as part of a process of creating a hegemonic surfing masculinity during the first South African surfing championships held in Durban in July 1966 – which was a founding moment in the making of competitive surfing in South Africa. In another study, in Rob Morrell’s Changing Men in Southern Africa (2001), I provided a social contest for the emergence of professional surfing in South Africa as a white, male sport. A back story to these studies was my antipathy for surf contests during the 1980s and 1990s. This stance had developed during my school years as a grom surfing along Durban’s beachfront as my initial thoughts of surfing stardom faded through middling showings during school inter-house surf contests and an attempt at a Natal development contest in the late 1980s. This was informed by a further desire simply to surf unfettered by any constraint – possibly why I made the following statement in my final year at high school in an English oral: “It is in this watery playground that I have found a place to escape from all the tensions of everyday life.” Leaving the question aside of what those everyday tensions were for another thesis chapter, my surfing experiences into my twenties tended toward that of a soul surfer rather than the competitive in so far that I even stopped reading Zigzag surf magazine and preferred the short run of African Soul Surfer, took little interest in news of the world titles, and avoided watching the annual world professional surfing contests held in Durban and Jeffreys Bay. Disengaged from organised surfing at an aesthetic level, I entered into a study of South African surfing’s history where most of the records available were (and still remain so) on surfing contests and the surfers who gained recognition in that arena. I was interested in the silences, the histories between the surf contests, the history of surfing’s everyday in South Africa marred by beach apartheid and how gender relations were shaped within surf culture. These themes continue to inform my research although I started from what knowledge was available in the “surf archive” and I am now slowly filling in the gaps through my current research programme. Since starting on my doctoral research in 2009 I have also plunged myself into surf contests – longboard and SUP surf events at regional and national levels as well as one local event where I entered three divisions: SUP, longboard and retro. In the former two the boards are over 9 feet in length, while the retro was on 5’8″ Fish twin-shape from a 1970s template. In all, I’ve surprised myself with my placings at these events, which have at times has been a top three or four placing in a board category or age division. Mostly I would say I am erratic in surf contests – winning a first round heat and then dropping out in the next. That is embodied performance based on results which ,in their own way, enter the annuals of surfing’s records. Part of me qualifies this as embedded research in surf culture, another part has come to enjoy the thrill of being judged on surfing performance within a heat to gauge my level of proficiency in the sport of surfing. In many ways, I am now on the receiving end of the judges’ gaze that I was so critical about in my paper on “Judging Surf Culture”. I have moved from seeking to understand surfing as representation to thinking and acting within surfing in a more non-representational (embodied) manner. The challenge to see how to bring the two back into an historical perspective. One way that non-representational practices and experiences could be historicised in riding surfboards that emerged from earlier eras of surfing’s history; such as a longboard or SUP – albeit these shapes have become influenced by modern materials and aesthetics, so the “pure” essence of the board is lost. Nevertheless, there is a kind of historical memory located in these boards which is remembered in films like The Endless Summer (1964) or photographs that are displayed of surfing’s Golden Years. I have also taken up the practice of riding boards shaped for prior generations of surfers to attempt to get a feel of how one’s surfing must change in relation to how the board fits with the wave and what manoeuvres one can do. A question I ask myself here is: am I seeking nostalgically for a surfing past that is different to my present? Or do these old designs help me imagine the past as I write South African surfing’s history? Yet I have digressed, well not exactly. Surf blink has a personal history for each surfer; the above are some of mine which came into play during the SUP surfing contest during the Off The Hoek Classic in Plettenberg Bay. I recall the twenty minute first heat going passed at a steady pace – I was surfing against five others in my peer-group. I too up a position at backline, facing my SUP out to sea and waited for waves to come to me. The one thing with a SUP is that you can see what swell is coming more easily than from the lower vantage point of a prone paddling surfboard. Also, on a SUP you can cover more distance than on a surfboard to an approaching wave due to the advantage of a paddle. I usually like to take a wave soon after the heat starts so as to get rid of any contest nerves and take a psychological lead in knowing that I was one wave up on the others in the rotation of getting back out to backline after the wave. This time I received a beating from a set that broke further out than usual, so I was in catch-up mode for the remainder of the heat against contenders, some of whom have beaten me during previous surf events. I saw them catching great rides. But I took off on five or six waves; and felt surfed then well in getting moves in and a length of ride. Most of these waves were the set waves, the bigger ones. Even during the dying moments of the heat, with five minutes and less to spare, I still waited and let smaller waves go by before selecting the wave I wanted. My overall sense was that in that heat I was calm, having fun, and was making turns on the waves with less effort than usual, despite riding a new Naish Hokau 9’0″ SUP, with less volume and length than my other board. In short, I felt confident and the results showed it; by very narrow scores, two of the three judges placed me first over Gary Van Rooyen. In my next heat I came unglued and took a fourth placing, and so missed the opportunity to go through to the final round. The primary difference in this heat was that I had to swim for my board after the leash came undone (or rather I had not tied it to the board properly before paddling out). This threw me off; the swim was long, I lost time and felt physically exhausted. In trying to catch-up I made selected waves that were not the best in just trying to get my wave count up. In that rush I fell off a wave and then misjudged the arrival of a set before the end of the heat. I had entered the heat with high expectations and washed back in with those hopes dashed. That is the nature of a heat – it can go your way or not. In this second heat, after the swim, I felt frustrated and rushed and out of rhythm; in stark contrast to the first heat despite only an hour or so separating them. So, what does this mean for an understanding of surf blink in a contest? I know that my best contest strategy is to look for the set (the biggest) wave available, and am prepared to wait for this wave. 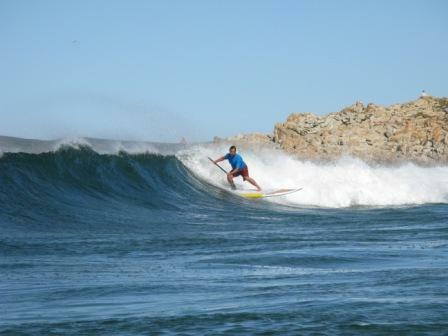 I am aware that I have some proficiency on the wave but I am not a surf or SUP champion. I rely on my wave selection to boost my placing in the judges’ eyes during a heat. If I take the biggest wave and surf it well enough, in relation to the other surfers in the water during the heat, I will advance to the next round. And sometimes it is not winning the heat that matters in advancing, getting a second place in a heat also puts you into the next round – aiming for first is not always a good psychological advantage if you place more pressure on yourself to perform better, or on par, in a next heat after winning the previous one. Of course, once you have demonstrated a placing into the next heat, then the crowd on the beach is watching you more intently with expectations of your advancing to the next round, dependent on who is in your heat. These psycho-social factors play there part with the rapid cognition of wave selection during a heat. In that contest space, I am fully aware of the moment in the surf, what my competitors are doing, the judges’ gaze, the need to perform well, the crowd watching, and the adrenal rush. I am also aware that things have slowed down. A ride on a wave is maybe 20 seconds on average but it rushes by in screen grabs of turns off the bottom and the top of the wave. Then when back at backline in the take off zone, waiting for the next wave, I am shifting my vision from the horizon to where are my competitors sitting. I am looking for that spot where the next swell will rise up out of the depths and offer a dream glide. I am imagining it coming but not what I will perform on it. I wait. I have a sense of the water temperature, a seagull flying by, the sound of the waves breaking inshore, the feeling of the contest vest over my chest, the current swirling below as I balance standing with paddle in hand on my SUP. A three wave set approaches and I am in position. The first goes by under my board as I paddle over it (its too small), as does the second (its going to break too fast), but for the third I turn and paddle – I know this wave will unfold and allow me to flow. That begins another surf blink, on surf blink, on surf blink, during the instinctual ride along the wave selected. It’s a sad state of affairs when the one’s thoughts has continued through many months not to document a word. Does that lessen the fact that I have been studying surfing’s history at all as participant and observer? I hope not but I do feel that “the writing interregum” as a period within a research process is now shifting from contemplation to thesis writing output. Coming later in life to this doctoral study with my own sense of nostalgia for a youth surfing past, I’ve pondered why – and been asked the same question by others on numerous occasions – this historical project on gender and politics in South African surfing culture. A short answer would be: an interrogation of my past as a surfer and an attempt to understand, over time, the agency of other surfers in periods structured by the experience of apartheid and interwoven by the gender order to frame social relations and identities. If I look at my published writings to date on surfing, only the latest of these on how the international sports boycott against apartheid shaped competition surfing in South Africa begins to take a broader time period into account. My other pieces have been more focused on key founding moment in South African surfing’s sports history – the inaugural South Africa National Surfriding Championships in 1966 and the emergence of Shaun Tomson as an exemplar male surf icon in the late 1970s. Both pieces analysed how a hegemonic masculinity around competitive surfing was constructed and maintained. The writing on gender and surfing however goes far beyond its masculinist pretenses, and as I work through material from the 1950s through to the 1990s I am finding evidence for shifting masculine and feminine identites over time, and even with periods. Here the 1960s have become a fascination for me and I am currently working on conference paper, for the forthcoming Southern African Historical Society Conference in Durban, to think through how global surfing can provide a lens to look at how local black and white surfers could turn to California and Hawai’i for new configurations of social identity under apartheid. This brings the theme of gender and politics together in a manner that I have only hinted at in past papers.